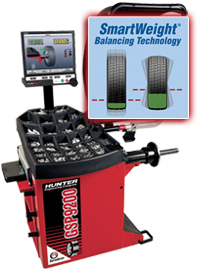 Easy to use, accurate and speed are key features of the latest wheel balancers from Hunter. 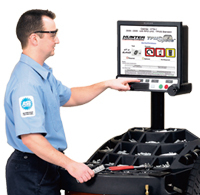 In your busy, fix-it-fast world, auto shop owners need repair equipment that is easy to use and easy to learn. 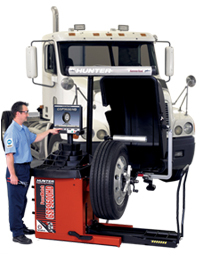 Hunter wheel balancers give you quick and accurate results and get customers back up and running fast. 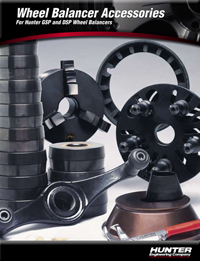 Call Total Tool for all your Hunter wheel balancers and accessories. Watch this video and see how Hunter wheel balancers can make a difference in your auto repair productivity. The Road Force® Elite wheel balancer delivers exceptional balancing service and performs a Road Force® and balance faster than a traditional wheel balance. 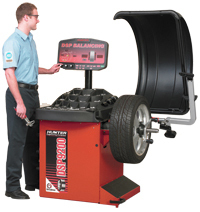 The Road Force® Elite solves wheel vibration problems that traditional wheel balancers can’t fix. 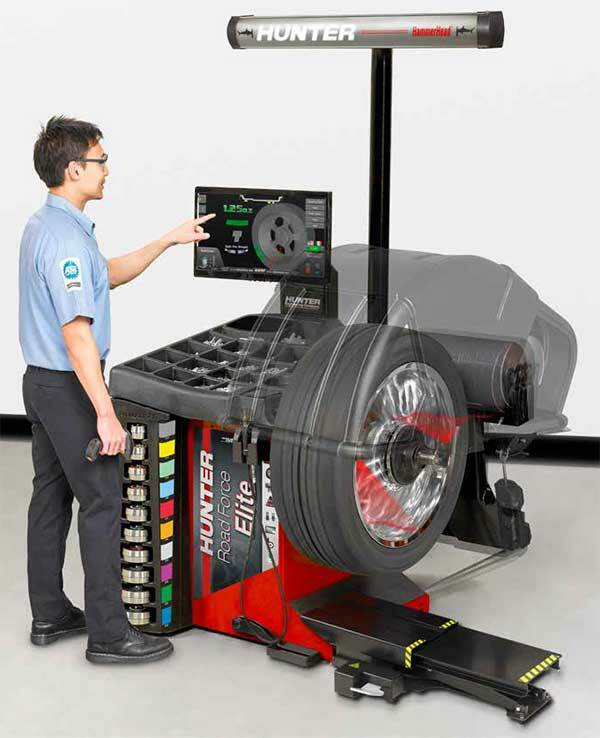 This machine detects non-balance, radial-force related problems associated with tire uniformity, tire and rim runout, wheel to balancer mounting errors and improper bead seat of tire to rim. 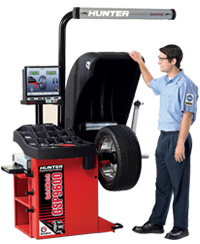 The Hunter GSP9600 QuickMatch® wheel balancer uses loaded roller contact to measure runout (eccentricity) of a tire and wheel assembly and helps your shop eliminate wheel-related vibration. Includes SmartWeight® balancing technology. 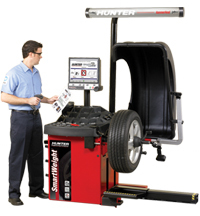 Hunter’s SmartWeight wheel balancer is a high-capacity wheel balancer with unmatched features. Engineered to save money and increase productivity with the revolutionary SmartWeight balancing technology, this wheel balancer now also includes concise TPMS data and procedures available from the wheel balancer. ServoDrive programmable DC drive system for the fast possible balance service and automatic positioning of the wheel for weight placement. 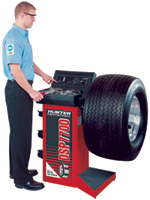 The most rugged of all compact balancers, the DSP7700 wheel balancer is perfect for the quality conscious, yet economically oriented shop, with a lower volume of service. This compact balancer features heavy-duty components that enable even 150 lb. (68 kg) wheels to be spun repeatedly without overheating. Quick, precise on-the-vehicle balancing helps increase profits and reduce customer comebacks. For Hunter GSP and DSP Wheel Balancers.